Startup Weekend is a 54-hour whirlwind event where you get to be part of building a business in a weekend, Silicon Valley style. It's about pitching, business model creation, coding, designing and market validation all in a friendly and supportive team environment. We're mashing the geeks with entrepreneurs and everyone in between, and locking them in a building together for a weekend, pouring in a heap of caffeine and free food, to see what new ideas come out the other end. This 54-hour event brings together creatives, technologists, designers and developers to experiment with rapid idea generation, Silicon Valley style. Anyone. Whether you're 8 or 88, a painter, actor, software engineer, writer, graphic designer, geek, entrepreneur, photographer, musician, programmer, museum curator, or startup specialist. Whether you have an idea, or have no idea. Everyone is welcome. The professional and personal challenges, the high and lows, the failures and the success? Startup Weekend is a global grassroots movement of active and empowered citizens who are learning the basics of founding startups and launching successful ventures or products. Whether participants found companies, find a cofounder, meet someone new, find a creative collaborator, or learn a skill far outside their usual 9-to-5, everyone is guaranteed to have a heap of fun, and to leave the event better prepared to navigate the chaotic but fun world of startups. If you want to put yourself in the shoes of an entrepreneur, register now for the best weekend of your life! 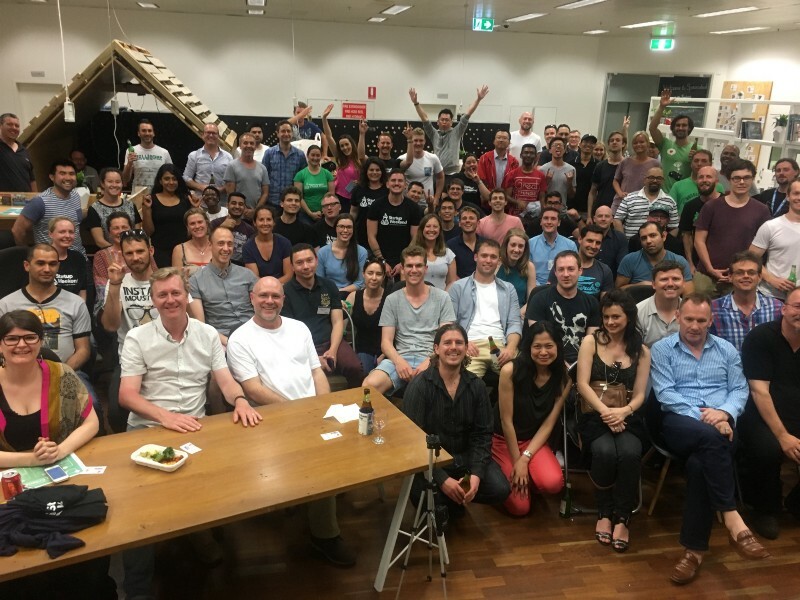 Learn more and see how the event runs at http://www.up.co/communities/australia/western-australia/startup-weekend/10784. Terms of Participation Agreement: The event is intended to be a collaborative forum for sharing, learning, building, and having fun. As such, by registering as a participant, you acknowledge that any ideas shared by you or anyone else over the course of the event are contributions to the overall experience and community. If you as a participant are worried about someone stealing your ideas, please reconsider your participation in the event itself or simply refrain from sharing specifics about your idea.